Found 10 file extension associations related to Bizagi Process Modeler and 2 file formats developed specifically for use with Bizagi Process Modeler. 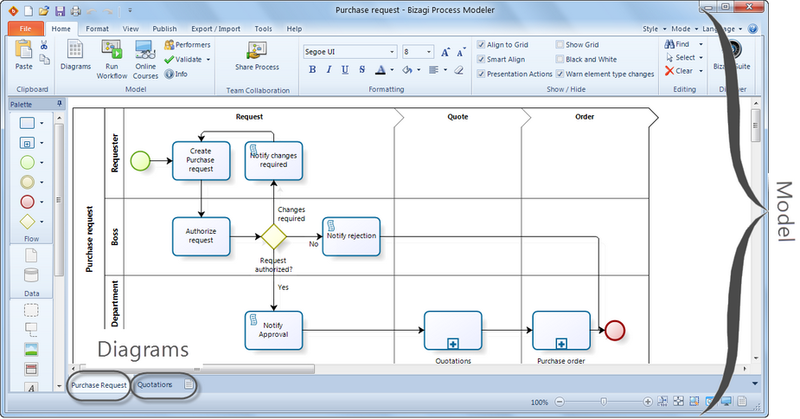 Bizagi is a business process modeling and documentation tool. The modeler enables you to visually diagram, model and document business processes in industry-standard BPMN (Business Process Model Notation). BPMN is a worldwide accepted format for process modeling. If you need more information please contact the developers of Bizagi Process Modeler (Bizagi), or check out their product website.